WISH YOU WERE HERE: 5 OF THE WORLD’S BEST VACATION SPOTS. We love going on a luxury holiday with breathtaking sites and coming home with a gorgeous tan. But there are so many destinations to choose one we often find ourselves hard pressed to make a decision. Particularly, when we know that whichever destination we choose it is going to cost a sizable amount of money. With that in mind, here are some of the most incredible locations we think you should visit at least once in your lifetime. We will start off in a place of seclusion that still manages to hold some of the modern luxuries that we have grown accustomed to having. The minute you step off the plane in Costa Rica, you will be blown away by the dazzling beauty that is lay out before you. Not to mention the ridiculously hot heats that will definitely take you by surprise. But, once you cool down in a Costa Rica spa and resort, you will realise you have found paradise. There is nowhere quite like this part of the world. Of course, you will not hitting any big theme parks or enjoying the latest films on the biggest screens in the world. No, you will be enjoying life at its simplest and enjoying the wonderful displays of nature that will be all around you. Costa Rica is a place of beauty and wonder that has to be seen to be believed. Certainly, a place that you should visit at least once for your children’s sake. Anyone who believes this place is overrated clearly lost their inner child long ago. It is filled with exciting sites and attractions for all ages. 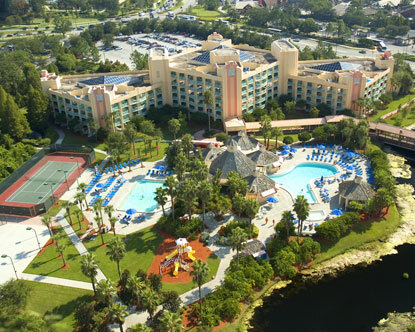 Disney, itself is the biggest theme park in the world stretching a massive forty square miles. If you think it is just for kids, think again because Downtown Disney offers a nightlife that caters exclusively to adult visitors. Of course, the queues and crowds can seem like a nightmare but the resort does try to make it more manageable with free FastPass options. Orlando also has some incredible shopping centres, and we can not forget the other major theme park, Universal Studios. Take a chance on a holiday in this childlike world just once and you will not regret it. Those familiar with this location will probably have seen pictures of floating villas on a gorgeous sapphire ocean. 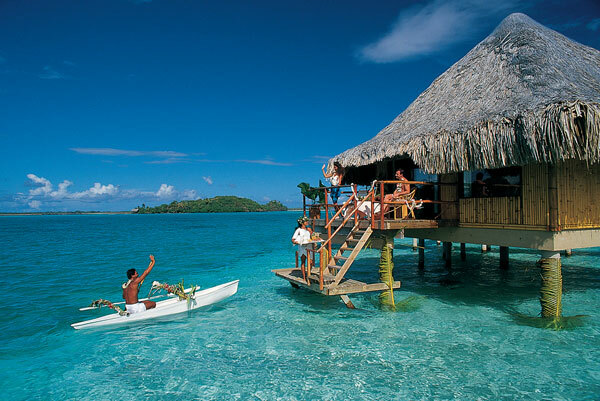 This is exactly what bora bora has to offer and it is no wonder it is a place Kim Kardashian often visits. The tropical paradise offers accommodation like no other where you can walk out your hotel room, take two steps and dive into the ocean. You will also be in a place that offers some wonderfully exotic dining and exciting nightlife on the world’s most beautiful beaches. If you are looking to escape from the stress of the city, this is where you want to be. Last but certainly not least is this desert paradise in Morocco. Movie buffs will know it has most recently been seen in Ethan Hunt’s latest adventure, and it is no wonder they picked it as a destination. The natural splendor of the place is a sight to behold, and there are a number of tours to take around the city. We think it is the perfect place to visit if you are looking for somewhere fresh and exciting. Previous Article12 ESSENTIAL STEPS TO ENJOYING A MACALLAN. Next Article10 WEBSITES MAKING THE MOST MONEY.